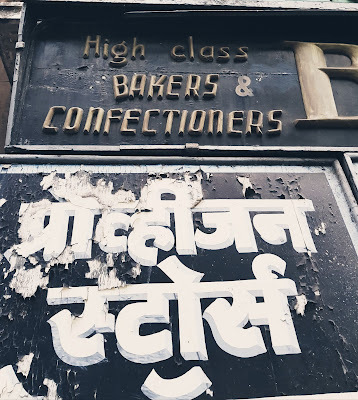 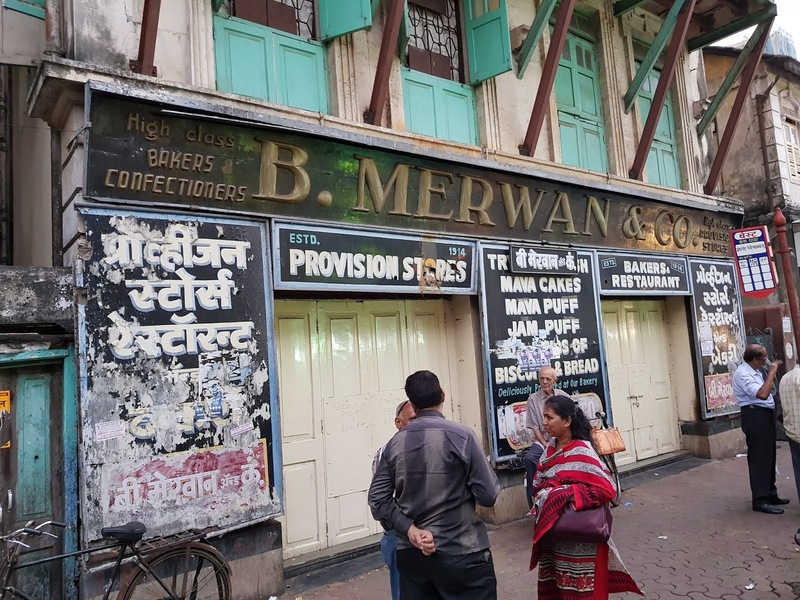 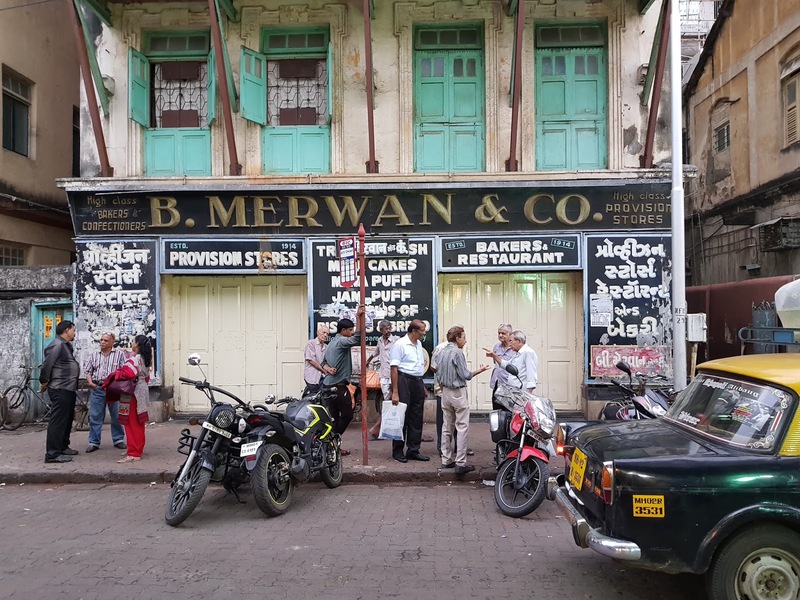 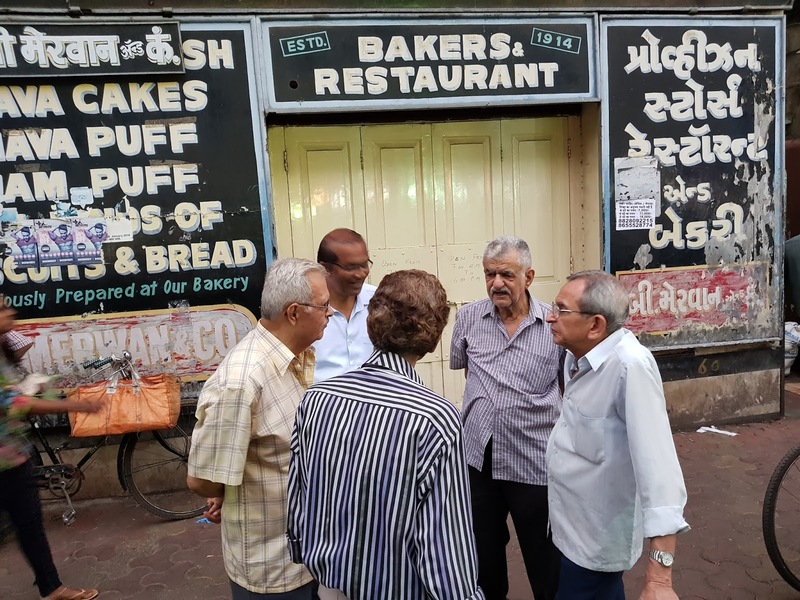 Sunday evening, Grant Road. .
At Grant Road's much loved B. Merwan the shutters may go down for the night at 6pm these days, "...but often, just outside, the adda keeps going right on!" says Sami who sent us these images just this afternoon. 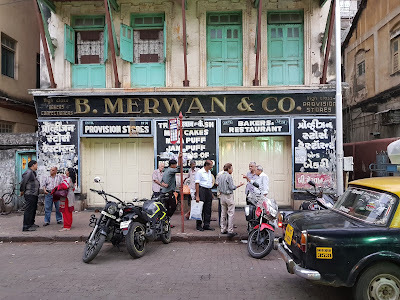 B. Merwan, Grant Road, Mumbai, April 2018, photographer Sami Tanade, © Sami Tanade.